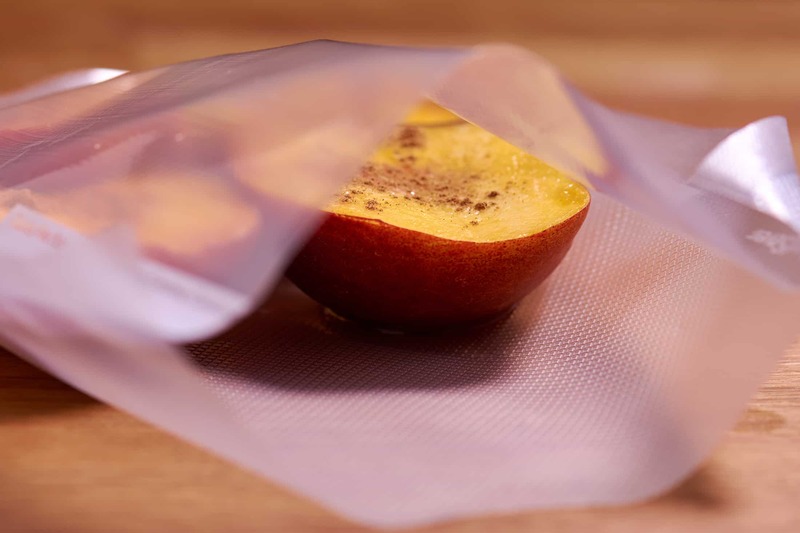 The amount of time needed to sous vide the peaches will depend greatly on how ripe they already are. I've found 20 to 40 minutes is a good time range for them. 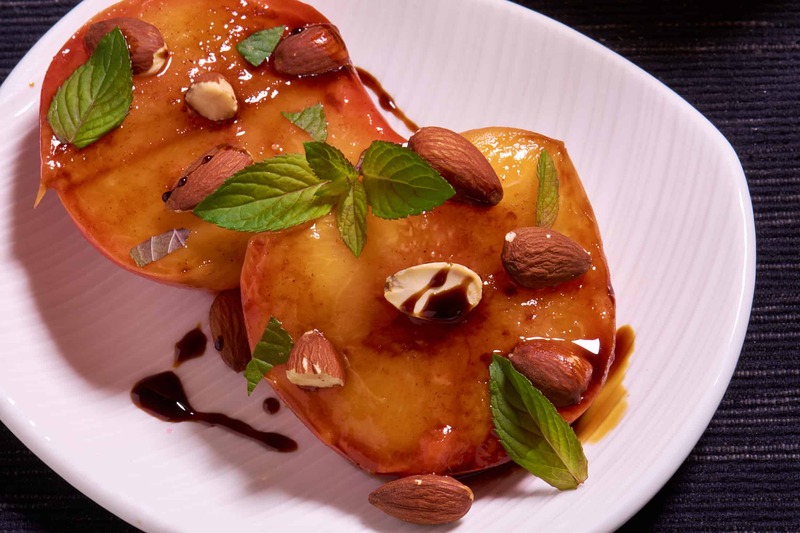 Note: You can learn more about Peaches from my How to sous vide peaches or view all my sous vide fruit articles. 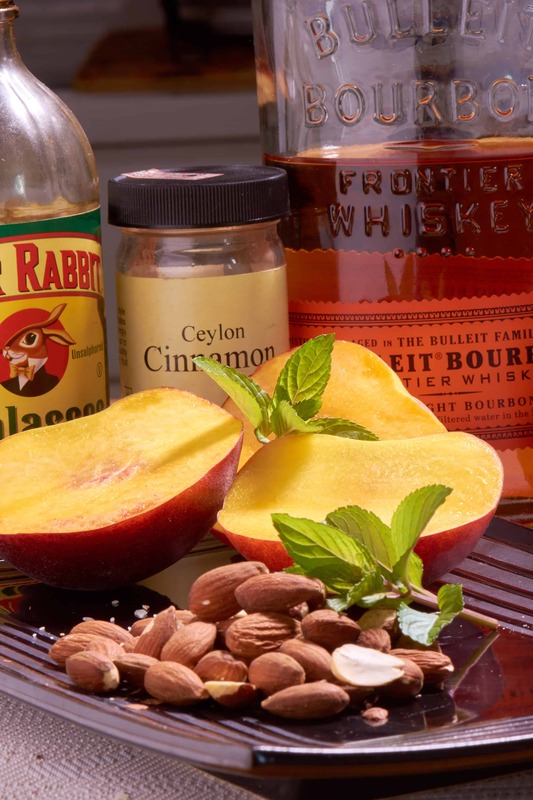 Sprinkle the peaches with the cinnamon. Place in a sous vide bag with the bourbon then lightly seal. Place the bag in the water bath and cook the peaches for 20 to 40 minutes, until heated through and tender. 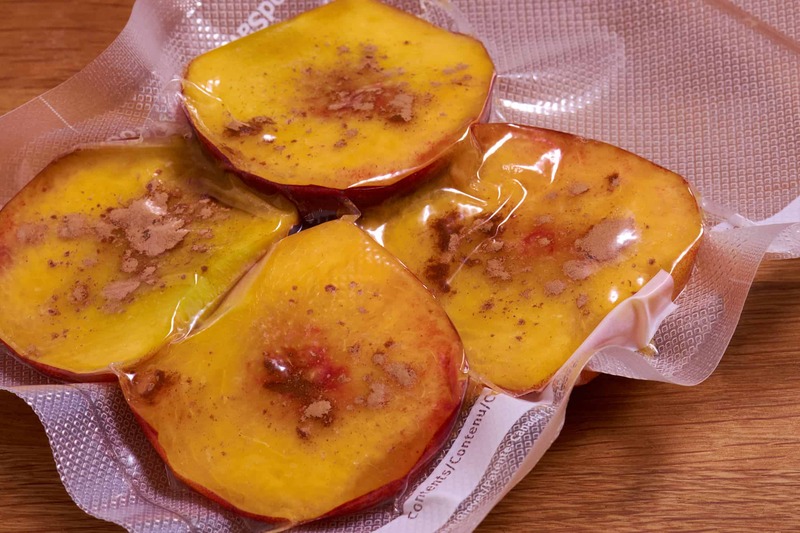 Take the sous vide bag out of the water then remove the peaches from the bag and place on a plate. 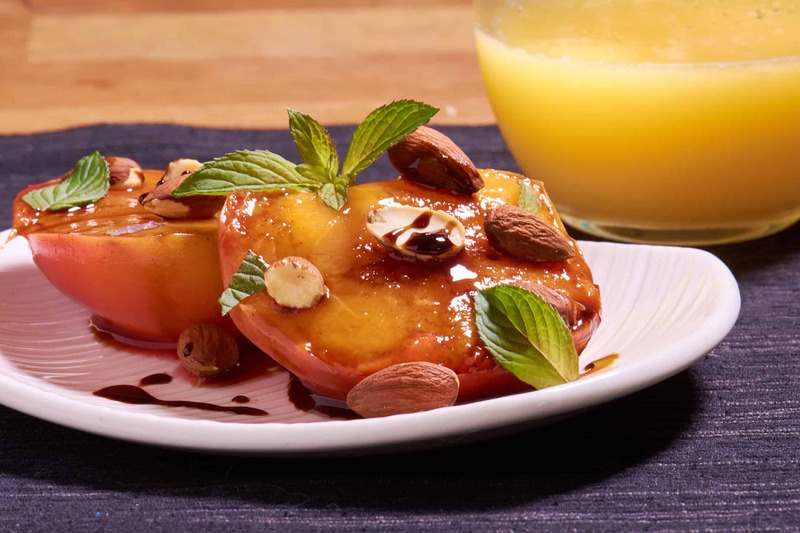 Pour some of the juices over the peaches. Top with the almonds then drizzle with the molasses. Top with the mint then serve. 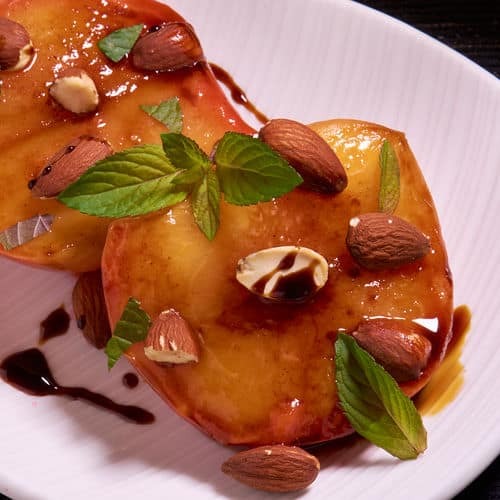 Heating peaches with sous vide softens them into a tender snack. 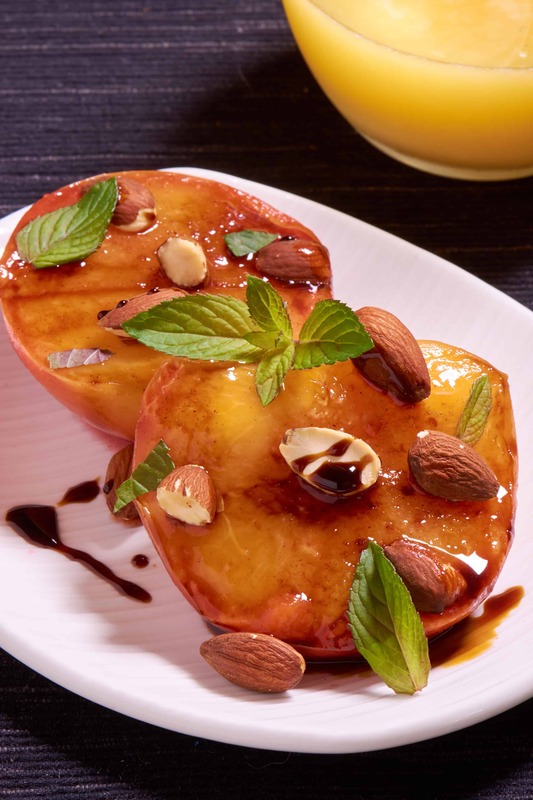 Add bourbon and cinnamon to the bag to infuse them with rich flavor; top with chopped almonds, molasses and fresh mint to round out.